A Napa Valley Weekend in the Vineyards — MYBELONGING - High Fashion, Menswear Streetstyle Meets Food, Travel and Editorial Experiences. Here for charity, good eats, endless pours of wine, and Uber rides. A story of a community coming together, against all odds, in celebration of life and libations. The Castello di Amorosa wine estate at dusk. When the opportunity came to visit and stay in Napa last weekend, in the aftermath of those vicious fires, to experience some quality down time in one of my favorite Bay Area destinations — I took it. As always, I took Ubers practically everywhere. We all know by now how I can't seem to live a day without Uber rides and being up in the Napa Valley is no different. As a wine lover and viticulture hobbyist, both Napa and Sonoma county both reside a soft spot in my hearts. I was heartbroken to say the least when the wild fires broke out, affecting multiple vineyards, their businesses, families and local residents in the area as well. But as with any strong community, they persisted and persevered against the odds. The trip up is a particularly brisk one, especially if you decide to fly up like I did. After a relaxing, scenic hour and a half long ride from SFO on my uberX, I arrived at the Westin Verasa Napa. It was both an aural and oral experience for all, live music jamming away at dimly-lit restaurants and endless pours of some of the best wine varietals Napa has to offer. More importantly, it was so great seeing an entire community come together to support the #NapaStrong relief efforts. Naturally, it wouldn’t be a Napa Valley adventure without conducting a proper wine tour. I managed to stop by some of my favorites (you guys have to do Castello di Amorosa + Liana Estates!) with a swipe of my fingers using Uber’s Saved Places feature. This new feature makes using Uber even more of a breeze as it takes the guess work out of my itinerary by saving the addresses of my go-to wineries, so that I can go about my day without a skipping a beat. 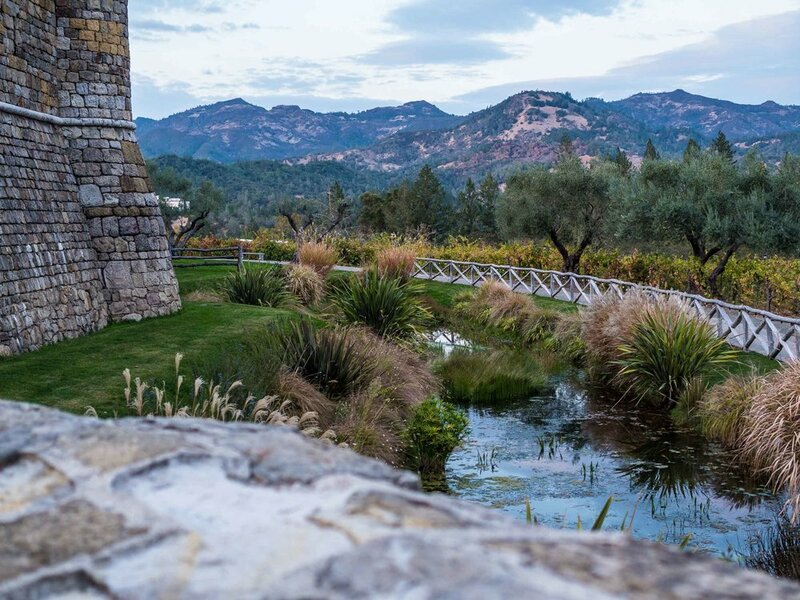 It makes a personal experience feel even more personalized than ever -- much like having a virtual tour guide that has taken the liberty in highlighting all the best vineyards for you. Because after multiple flights of wine tastings, one should never get behind the wheel when under the influence to get your next destination. We need more charity than tragedy these days, after all. A very special thanks to Uber for making this story possible. Images, words and experiences are entirely my own. Please ride responsibly! Hope you guys enjoyed this intimate wine tour of Napa Valley experience! Have you guys been before? Please let me know if you have and what your favorite vineyards are in the comments below!